Classic Tudor in the fantastic family friendly neighborhood of Maxwell Park. 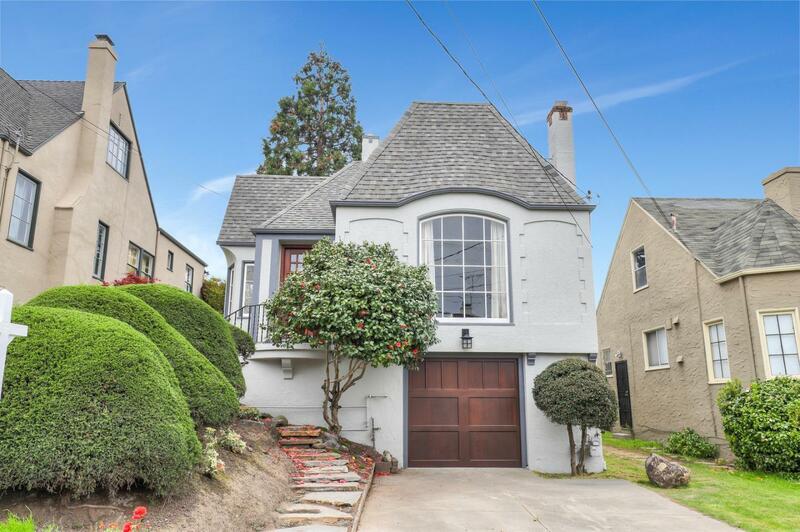 4421 Allendale is one of a handful of Tudor style homes that were built in the late 1920s. Beautifully crafted details adorn this awesome 3 bedroom, 1 full bath( original tub), 1,336 square feet of living space, hardwood floors throughout on a 4,080 square foot lot and attached 1 car garage/basement with 3 separate storage areas and plenty of room for expansion and not to mention an unfinished attic space with incredible expansion possibilities to add another bedroom, walk-in closet and small bathroom( buyer to verify).This one block street is a world unto itself that can give visitors the impression that they've just stepped into a children's book. Every home here is the embodiment of the word "charm". The back yard has been completely re-done with a deck, grass all hooked up to a drip irrigation system controlled by wifi and a large custom design fence for privacy and great entertainment. A true must see!